faux fur is for real this season! 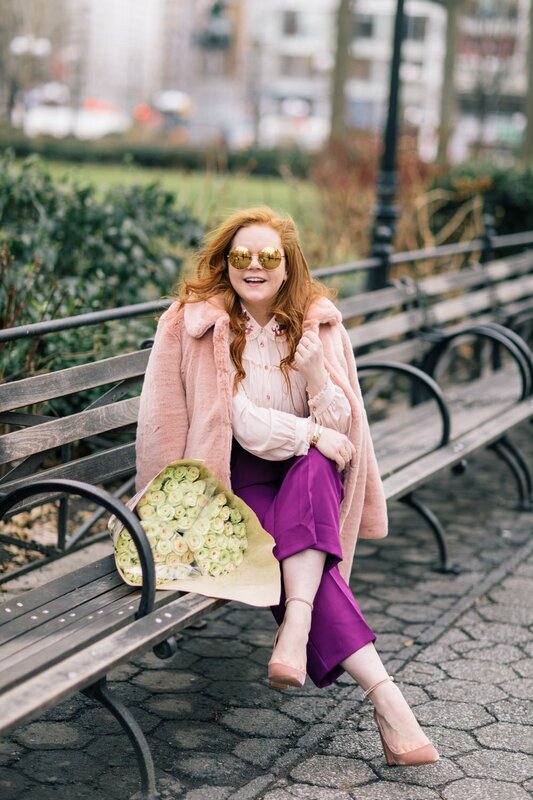 with the temperatures hovering over freezing, i knew i couldn't beat mother nature for spring to get here so i'm compromising and strutting around town with this faux fur coat in my favorite color! perfect for the days when i want it to be spring, but it's still frigid. paring this coat with a little sequined blouse and purple pants (because duh) and i was out the door!